A couple of tidbits, so you don't say I didn't warn you: 1) you will want to use the Memento Tuxedo Black ink pad to stamp your image if you'll be using Blendabilities to color, and 2) our Blendabilities are optimized for use with our Whisper White card stock. 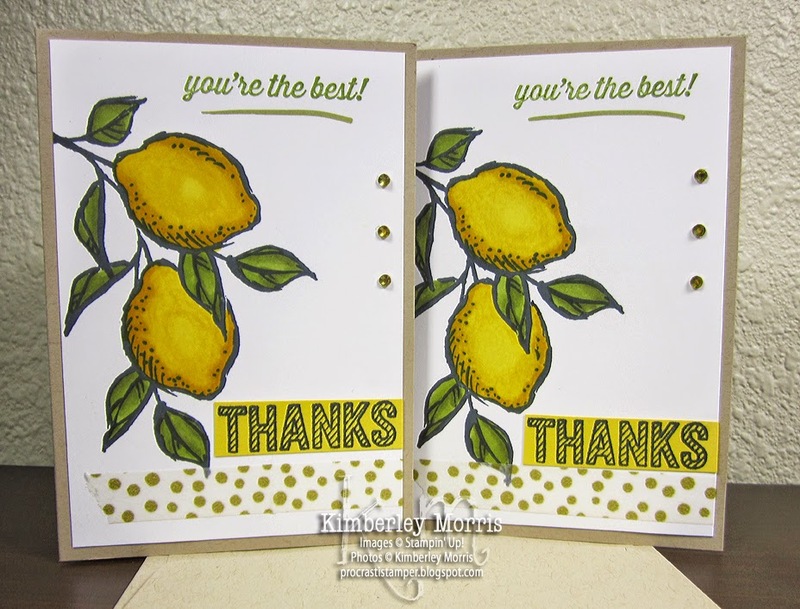 Please save yourself any undue frustration, by making sure you have the supplies that will bring you success :-) Oh, also, it's best to layer your Blendabilities-colored images onto your card base, as the color does seep through to the back of the Whisper White card stock. LOVE, LOVE, LOVE those Crumb Cake Notecards & Envelopes for that...and look how they complement the gold bits on the card, to pull the look together. Nifty! And, if you think you've gotten all you want from this year's Sale-a-Bration event, you might want to check back with me on March 1st. This year we are getting some SURPRISE NEW FREEBIES to take us through the last month of this fabulous promotion! 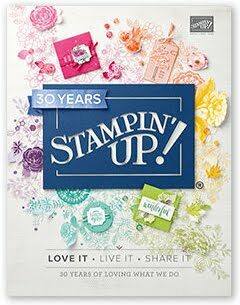 Stampin' Supplies: A Happy Thing stamp set (Sale-a-Bration FREEBIE), Simply Wonderful stamp set (Sale-a-Bration FREEBIE), Daffodil Delight Blendabilities (Sale-a-Bration FREEBIE), Old Olive Blendabilities (Sale-a-Bration FREEBIE), Old Olive ink pad, Memento Tuxedo Black ink pad (do yourself a favor and get the ink refill for it at the same time, so you have it when you need it), Daffodil Delight card stock, Whisper White card stock, Crumb Cake Notecards & Envelopes, Watercolor Wonder Washi Tape, Basic Rhinestones (colored with Daffodil Delight Blendabilities), and Gold Stampin' Dazzle Marker, Fast Fuse Adhesive.